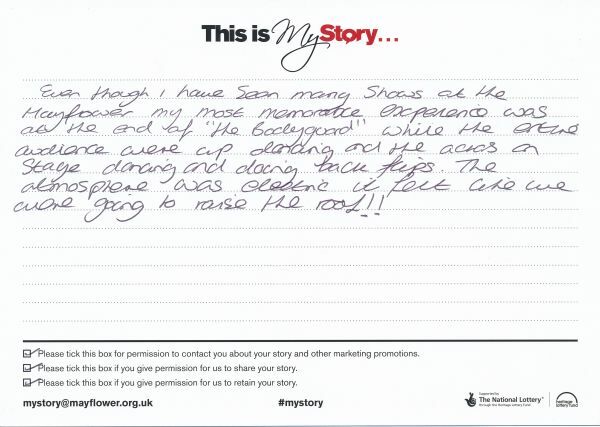 My Story card: Julie Forster remembers the atmosphere at the end of The Bodyguard. Even though I have seen many shows at the Mayflower my most memorable experience was at the end of "The Bodyguard" while the entire audience were up dancing and the actors on stage dancing and doing back flips. The atmosphere was electric it felt like we were going to raise the roof! !